It’s that time of year when we fix up out patios, work in the garden and get those home improvements going. 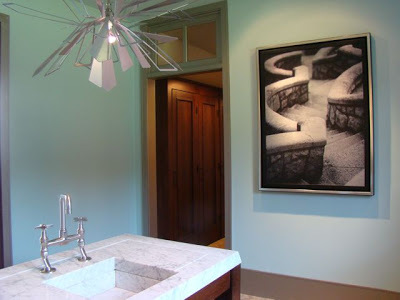 Today on #ColorChat, I’ll be tweeting the products of Luck Stone in Charlotte. 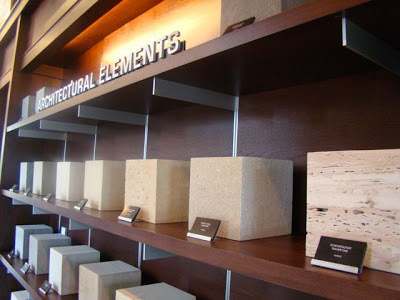 I visited their showroom back in 2011 and had a blast! There’s nothing like actually being in the showroom where you can touch everything and see all the products. 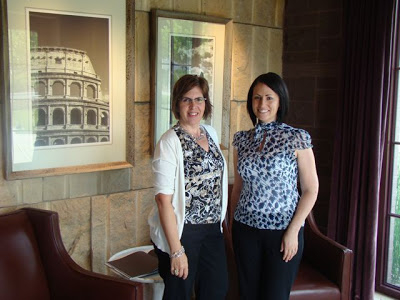 Here is a picture of me and Heather Reid (not sure if she still works there) back in 2011. It was such a great visit and I need to go back. I need some pavers for my backyard and I know Luck Stone has a great selection. Here are some pictures I took when I was there in 2011. Not sure they still have these products but they look like classics to me. 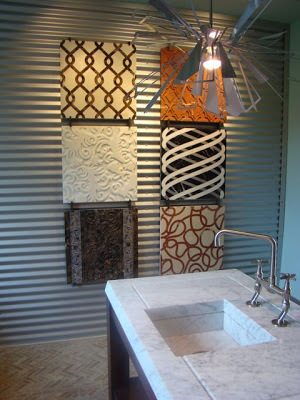 What I really enjoyed about the showroom is that they have different, eye-catching products not the “subway tile” saturation that you see all over the place. That’s the difference between going to a showroom or a box store. It’s always nice to have a beautiful display with product so you can touch it and see how it feel and looks under the lights. Isn’t this beautiful? 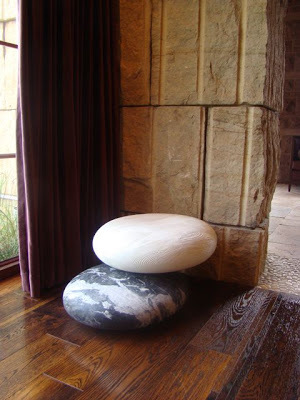 Add a little whimsical with Pebble Seating. 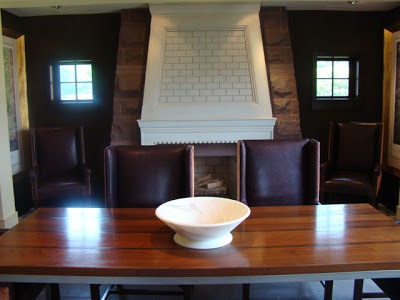 And they were right on target with wall color even back in 2011 when I was there. Look at that cool lighting! 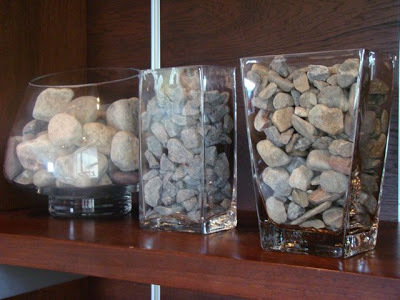 Here again they have samples of the rocks they offer as well but it sure makes for a great display for the coffee table. Inspired? I sure am. Join #ColorChat today on Twitter, go online to see what Luck Stone has to offer but certainly get yourself to one of their locations. Happy home improvements! 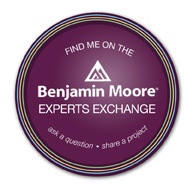 This entry was posted in home improvements and tagged colorchat, home improments, luck stone. Bookmark the permalink.